When summertime rolls around, those of us with kids scramble to find things to keep our children happy, active, engaged and entertained. And, if we’re lucky, we also get the opportunity to have a little fun ourselves! We use everything from Disney shows, Super Hero movies, video games (Minecraft, Mario Brothers, Wii, you name it), arts and crafts, play dates, board games, Barbies, Legos, dance parties, and (my favorite summer fun) play time in the pool and on the lake. 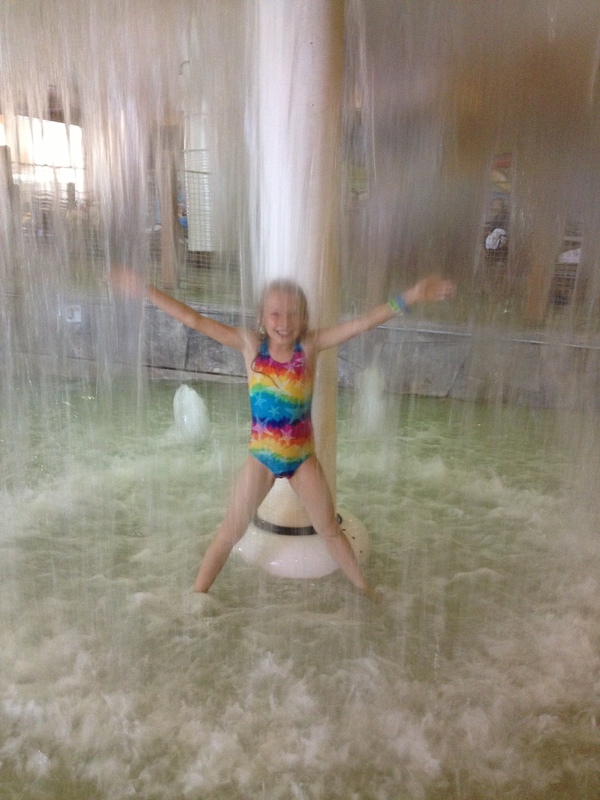 My latest summer fun experience involved a water park and some wet-and-wild craziness. 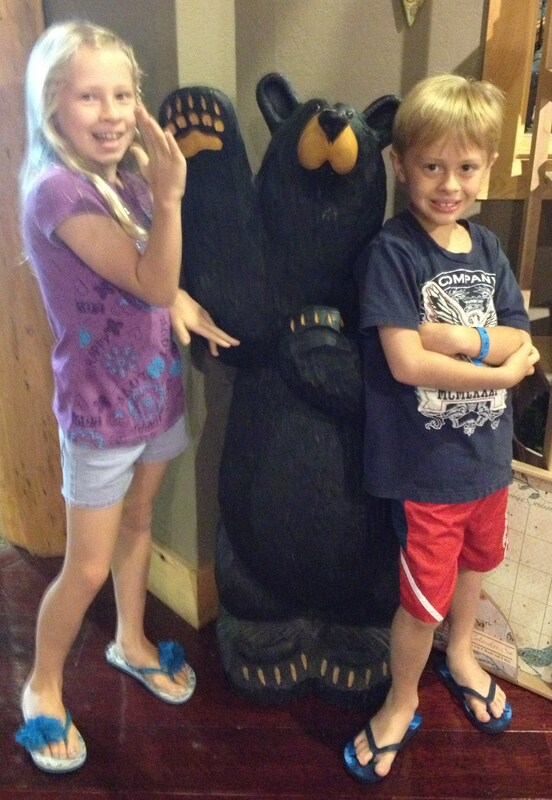 I recently took my kids to The Great Wolf Lodge in Concord, NC and had such a fun time! I probably haven’t felt that heart stopping rush nor screamed that much and that loud since I was a teenager. 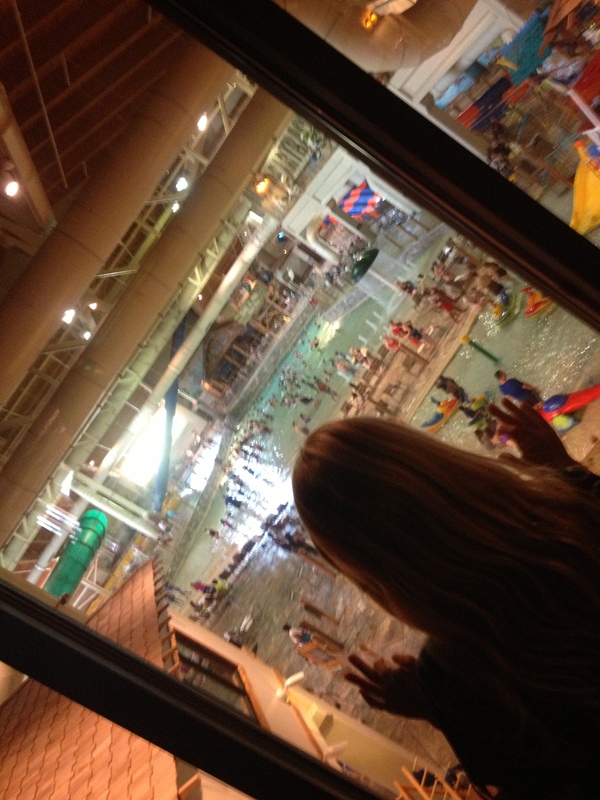 Those water slides were such fun. It’s a ridiculous thing when you really think about it – you’re half naked, you wait in a long line for a stupid amount of time for something that takes less than a minute, you place yourself in a flimsy tube (No straps! No seatbelt! 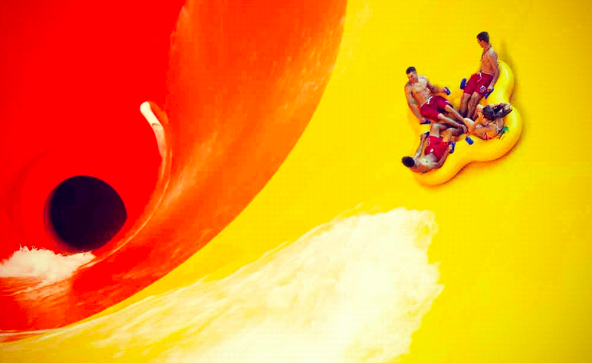 ), and then you plummet down a seriously claustrophobic tube at an incredibly fast speed as you’re pelted with water and ultimately get soaking wet! And the crazy thing?IT’S TOTALLY AWESOME! What a thrill! And you do this over and over again because the thrill of the ride is just too much fun, so you absolutely have to go back for more. At 38 years old, I allowed myself to be swished, sloshed, spun and catapulted on the Great Wolf Lodge’s main “high thrill” ride, “The Howling Tornado.” My daughter Mina’s description describes it perfectly: “It’s like you’re a piece of poop being flushed down a big ole yellow toilet!” It’s the Great Wolf Lodge’s main “high thrill” ride. I was so proud of Mina for being willing to ride that one with me. Heck, I was proud of myself for actually doing it! Had my friend’s 13-year-old son not wanted to ride the thing so bad and talked me into it, I’m quite certain I would’ve never braved it. 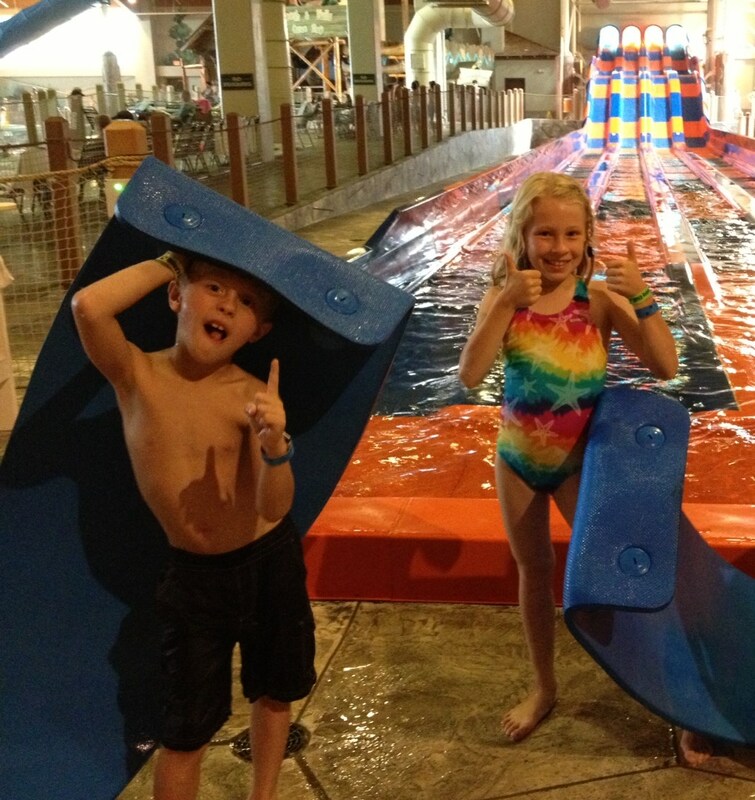 But I’m so glad I did because my girl, Mina, and I will certainly never forget that water slide experience. This entry was posted in Activities, Children, Shannon Boatwright and tagged Columbia, columbia sc, Concord, every woman blog, Famously Hot, food, Great Wolf Lodge, hospital blog, kids, Lexington, lexington medical center., lexington sc, Lexington Women, lmc, LMC every woman blogger, Midlands, Midlands Women, shannon shull, South Carolina, South Carolina Women, Women, women's blog, women's hospital blog by Kate Gillmer. Bookmark the permalink.